Has your home felt a little stuffy lately? Have you noticed a visible dust accumulation on your air duct vent covers? Those are signs that it is time to have your air ducts cleaned. Having your heating, ventilation, and air conditioning (HVAC) system and air ducts professionally cleaned will noticeably improve the indoor air quality in your home and provide cleaner and fresher air for your whole family to breathe. At your Marietta air duct cleaning appointment, we will clean your air duct system, removing the dust, hair, mildew and soot which collected on the surface. Your KIWI technician will apply our non-allergenic antimicrobial treatment, which will rid your ventilation system of allergy-causing agents and rid your air ducts of mold and mildew. For more information about air duct cleaning in Marietta, call KIWI Services to speak with one of our friendly home care consultants. Don’t forget to ask our representatives about our two-year air duct cleaning guarantee! 1. Removal of the vent covers. 3. Clean the inside of the duct opening. 6. Application of a professional grade EPA approved antimicrobial solution to disinfect and sanitize the system, ducts, and vents. 7. Cleaning of the surrounding vent areas. 8. Re-installation of the vent covers. 9. Test the air conditioning and heating unit. 10. Provide you with 2 years assurance guarantee on quality of work that was performed in your home. KIWI offers expert vent cleaning in Marietta for both your air duct and dryer vents. Our technicians will do a thorough job of making sure that your ducts and vents are sparkling clean and able to have the fresh and clean air flowing through them. Having clean vents improves the efficiency of both the heating and cooling systems and will also reduce the dust, dirt, and debris that can trigger asthma and allergens. Our air duct cleaners are trusted professionals with years of knowledge and know-how in the business. 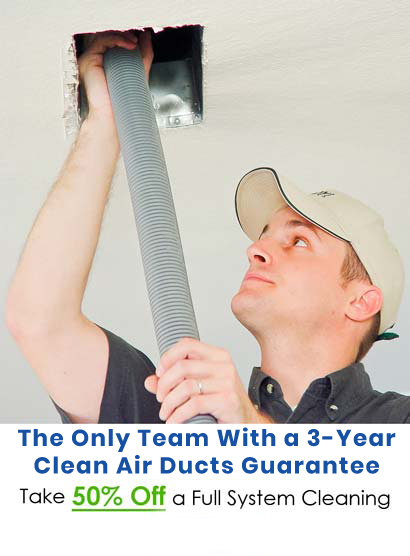 We provide two-year air duct cleaning guarantee! Unmatched by other service companies. For more information about air duct cleaning service, call 770-691-0535 to speak with one of our friendly home customer service and care consultants. Don’t forget to ask our representatives KIWI’s exclusive two-year air duct cleaning guarantee!